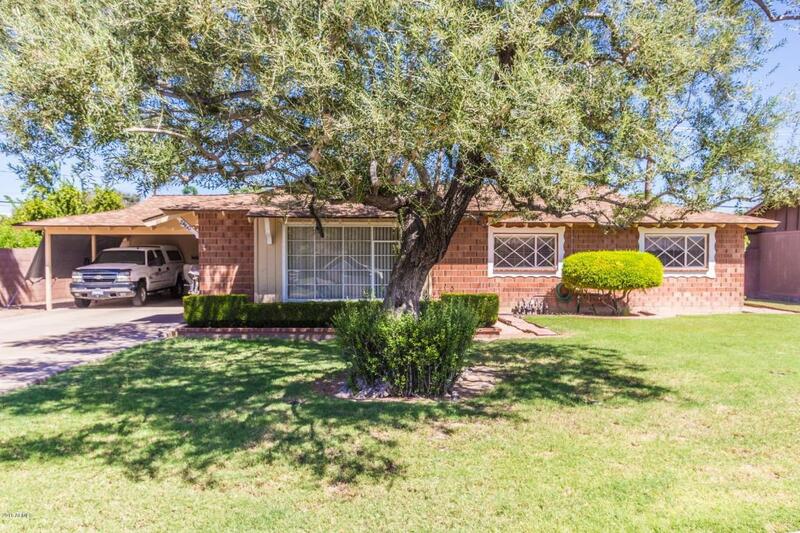 Beautiful 4 bedroom 2 bathroom brick home in Scottsdale!! Large rooms and dine in kitchen are only a few of the features this home has to offer! Inside laundry room with cabinetry and countertop, great for storage! Hardwood and tile floors! Dining area opens out into backyard that boasts nice grassy area, mature trees, storage shed and garden area. Privacy wall a plus!! Minutes to freeway and Old Town Scottsdale.